Although best known for producing alien electro for the likes of Tabernacle, Jeremiah R also makes evocative deep house under the lesser-known Marvis Dee alias. 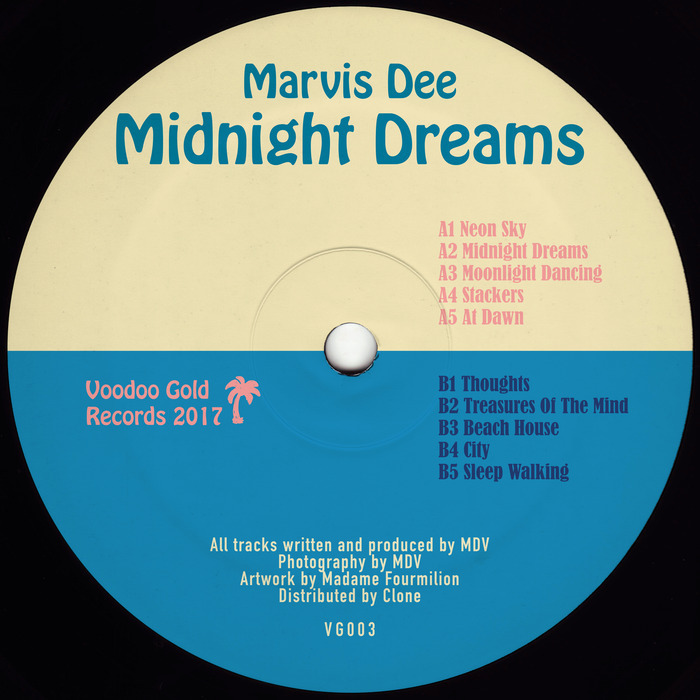 Here he pops up on Voodoo Gold with a mini album's worth of woozy goodness. There's much to enjoy throughout, from the Larry Heard-meets-Moon B warmth of opener "Neon Sky" and ultra-deep, ultra-dreamy "Moodnlight Dancing", to the glacial ambience of "At Dawn" (perfect for those rare outdoor sunrise sets) and dream house revivalism of "Thoughts", where picturesque melodies tumble down over swirling chords and a tantalizing bassline. He also goes hypnotic via the fluttering melody loops and cascading synthesizer lines of "Treasures of Mind".